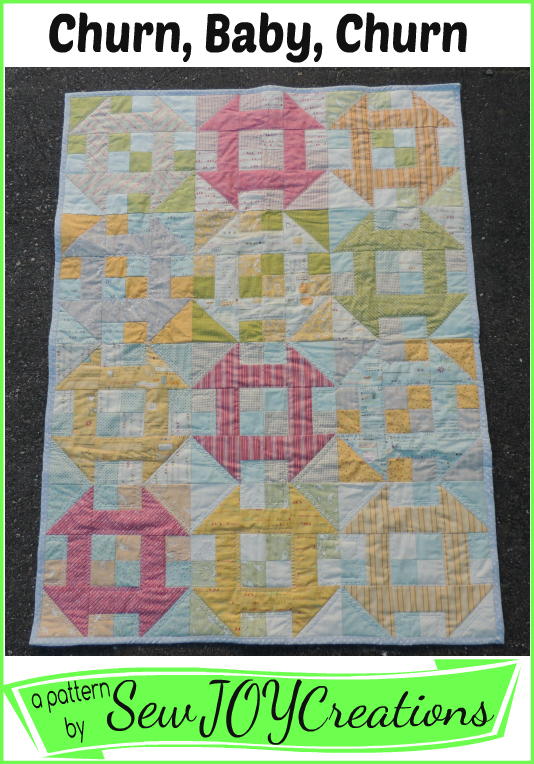 Use a layer cake or a group of 10 inch squares to make this baby quilt. Churn dashes on four patch background sew together quickly. Great baby shower gift! Finished size of quilt is approximately 36 x 48 inches.